Nadal and Federer have had quite a history together when it comes down to the finals of international tennis tournaments. 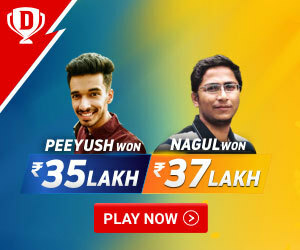 Their games have left fans and spectators at the edge of their seats. In one particular finals match, after a gripping 5 set match, Nadal finally won the Australian Open Championship. During The runner up speech, Federer was brought to tears and he couldn’t continue with his speech as smoothly as he would have liked to. 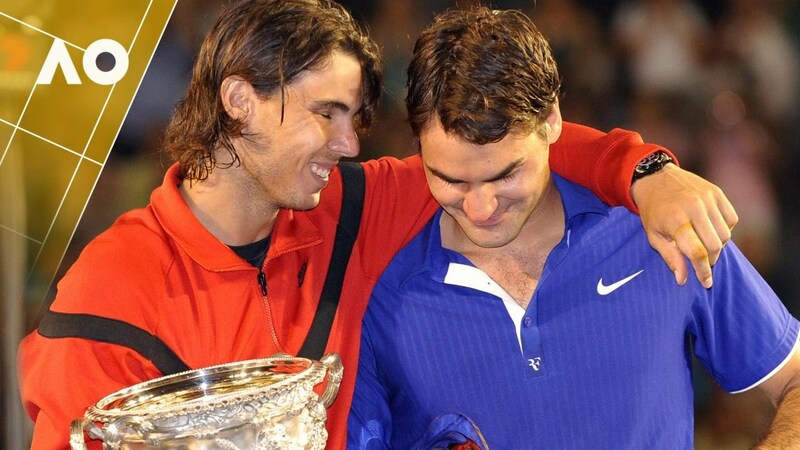 At this point Nadal went over to Federer and consoled him by putting his arm around him. In a 3200 m championship, Meghan Vogel was far behind the famous Arden McMath. However, unexpectedly as they were coming close to the finish line, McMath started getting cramps in her leg and she could barely even stand up. 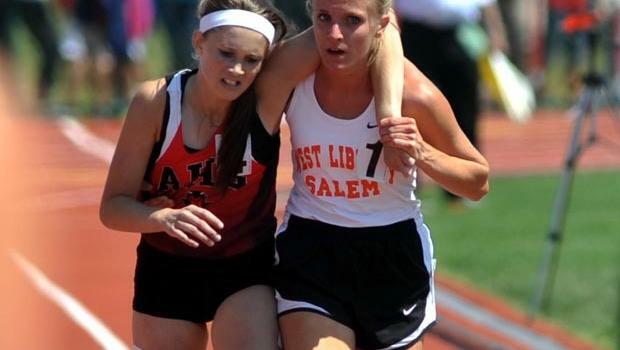 At this point, instead of racing past McMath to the finish line, Vogel came forward and helped her injured opponent towards the finish line. Vogel truly displayed the spirit of a championship during this sporting event and this is one of the most famous gestures of respect in the sporting world. A young seventh-grade boy was put face to face in a wrestling match with a boy who was suffering from cerebral palsy. Instead of taking down the patient in a few sharp and swift moves, the seventh-grader willingly allowed the cerebral palsy patient to lock him down by the neck and then the seventh grader went ahead and tapped himself out. The audience went crazy cheering uncontrollably for both boys. This act marks respect and kindness. In the Euro 2012 final match Spain was thrashing Italy with the advantage of having already scored 4 goals. The last 2 goals were scored after the 80th minute and it was clear that there was no coming back for Italy. At this point, purely to save Italy from shame, the goalkeeper of the Spanish team begged the referee to blow the whistle. The referee also realised that the Spanish goalkeeper was right and ended up blowing the whistle. During the around the world yacht race, Peter Goss was sailing ahead of his French opponent, Raphael Dinelli. Unexpectedly, Pete received a mayday notification from his competitor whose yacht had been completely damaged in a storm. Instead of sailing ahead towards the finish line, Pete turned his yacht around, sailed through the storm and ended up saving the life of his opponent. Pete was also awarded by the French Government for his bravery with the highest civilian honour. A father-son duo, namely Stefano and Cristiano were killed during a car crash as they headed back home from a AS Roma versus Bayern Munich match. The players of Roma FC honoured their deceased fans in their next match by walking out on the field wearing t-shirts that had a picture of the deceased father and son. This was an amazing and respectable gesture from the football team. James Konopka and Nick Mead were rowing towards the finish line and had major chances of securing a medal. Unexpectedly, the boat of their opponents capsized. Instead of rowing forward towards the finish line, these high school towers rushed back to save their opponents from the icy cold waters of Philadelphia and ended up giving up their podium. After winning the Wimbledon finals and overtaking Pete Sampras’ record of 14 grand slams, Roger Federer had a very silent celebration in his locker room. Instead of creating pomp and show, Federer respected the loss of his opponent. When Federer was asked about this, he clearly stated that losing is harder for the runner-up than it is a happy moment for the winner. This showed his true spirit of sportsmanship. Footballer Paul Di Canio refused to score a goal into an empty goalpost. This event happened during a match between Everton and West Ham. The Everton goalkeeper had gotten himself injured and instead of stampeding on to score the goal into an empty goalpost, Paul handled the ball and went and checked on the opposing goalie. There’s no denying the kindness and humility that Djokovic has off the court. While he is a fiery competitor during a match, his reputation for humility precedes him off the court. During a rain break at the French Open in the year 2014, Djokovic very kindly invited the ball boy to sit beside him and he even shared some of his refreshments with him. This shows the kindness in his nature and the respect that Djokovic shows towards people who aren’t as superior as he is. Well, there you have it, a list of some of the most respectable and intense moments that have occurred in the history of sports. While all athletes work towards winning their matches, there are certain instances where victory is not as important to them as it is to respect their opponents or fans. 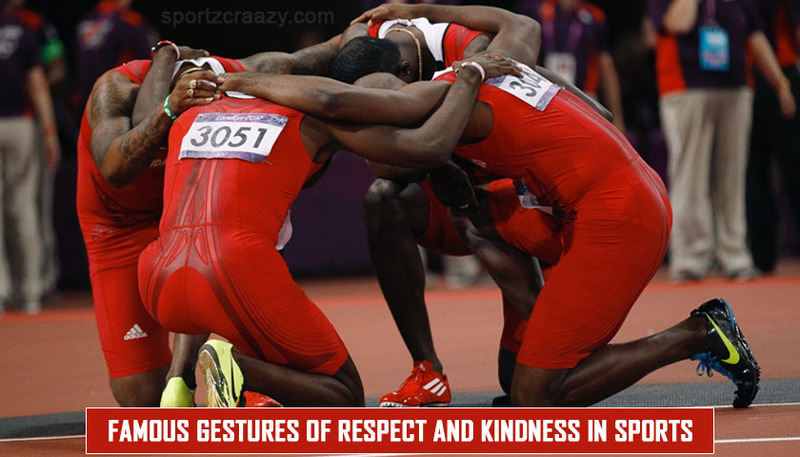 Time and again professional athletes have shown their humble and kinder sides by making a gesture of respect towards their competitors and in some cases fans. It makes us realise that at the end of the day we are all human and at times it is more important to be human than to be a winner. Should Male and Female Tennis players pay Equally?